RIM has just announced their results for Q1 2012. In addition to an operating loss, RIM also announced that the launch of devices based on the Blackberry 10 OS has been delayed to "early 2013". All I can say is, "What a disaster!". RIM was betting on Blackberry 10 devices to save the company from its current downward spiral, but the delay in Blackberry 10's release puts the very survival of RIM in question. In light of this news, there are reports that RIM's board may be pressured to decide between abandoning the Blackberry platform for Microsoft's upcoming Windows Phone 8 and selling its network business to private equity players. Microsoft also seems to be interested in acquiring RIM's patent portfolio. Let's take a look at how "palatable" these options are. Positives - The most obvious benefit of partnering with Microsoft is that RIM may be able to sell a stake to Microsoft to improve its chances of survival. 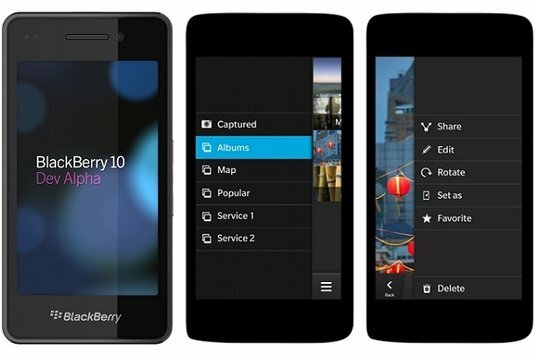 In addition to this, Microsoft may also help fund marketing expenses for RIM's Windows Phone-based devices. Negatives - As seen by Nokia's current state, adopting Windows Phone 8 as a primary smartphone platform is fraught with risks. The platform is still seeking to establish a foothold in the market. Winning over developers without a sizable user base has been challenging as well. In addition to this, even if this partnership is struck, it is unlikely for WP8 based RIM devices to launch within this year and in the absence of an investment by Microsoft, the question of RIM's survival may still remain. Positives - A sale of the profitable network business allows RIM to unlock shareholder value by separating it from the pathetic performance of the hardware unit. Considering the lack of acquirer interest in RIM, this may be the best option to give shareholders a way out of the current quagmire RIM is in. Private equity players could purchase the network business with the intention of opening access to competitors, which is similar to ousted CEO Jim Balsillie's rejected restructuring plan. Negatives - The sale would effectively put an end to the future of RIM's device business and possibly to RIM as we know it, leaving only two options - adopting a competing platform (such as Windows Phone 8) or liquidating the company. Conclusion - Both options seem to have significant downsides, but at this point, they may be the only realistic options that RIM's board would consider. The best case scenario would be a sale of the Network business and an agnostic approach to platform selection, i.e. adopting both Android & Windows Phone, but RIM may be swayed by Microsoft's ability to inject additional funds. In any case, it looks like the Blackberry platform is nearly dead. the videos you use are perfect for this topic! Really awesome blog. your time sharing your thoughts and ideas to a lot of readers out there. wonderful lucidity in your writing.